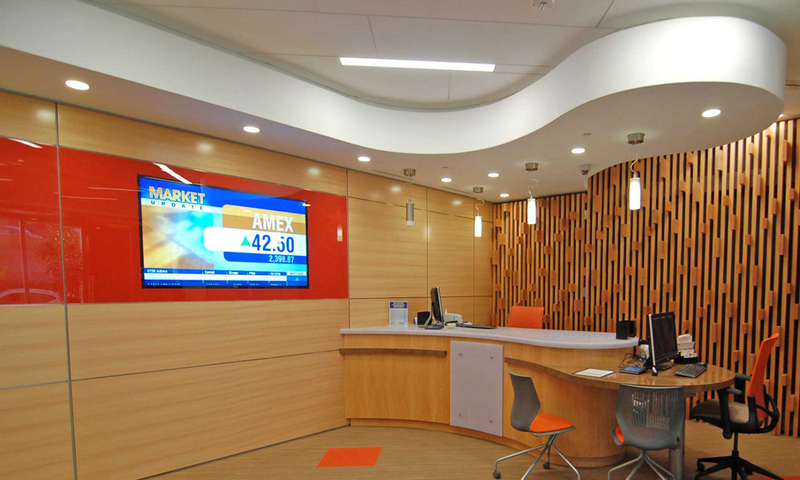 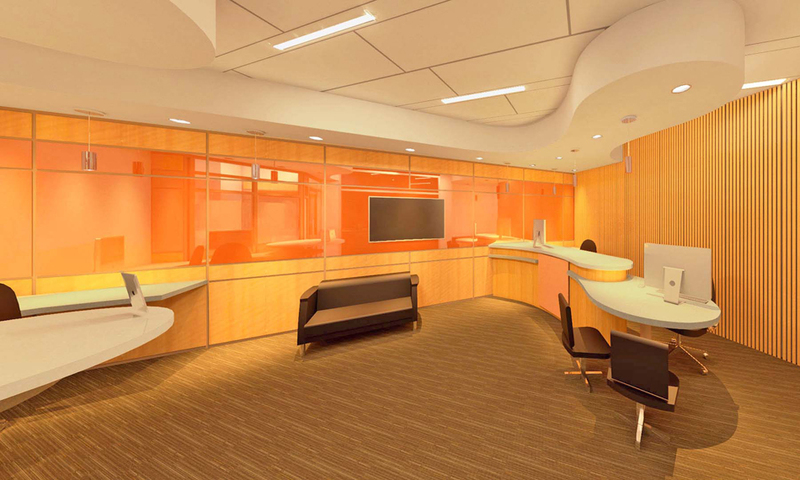 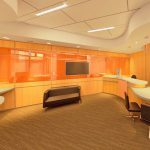 This Fidelity micro-bank branch is a 500 square foot tenant build out in New Orleans’ Benson Tower. 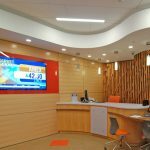 The space includes full-service teller banking, online banking, and a conference room. 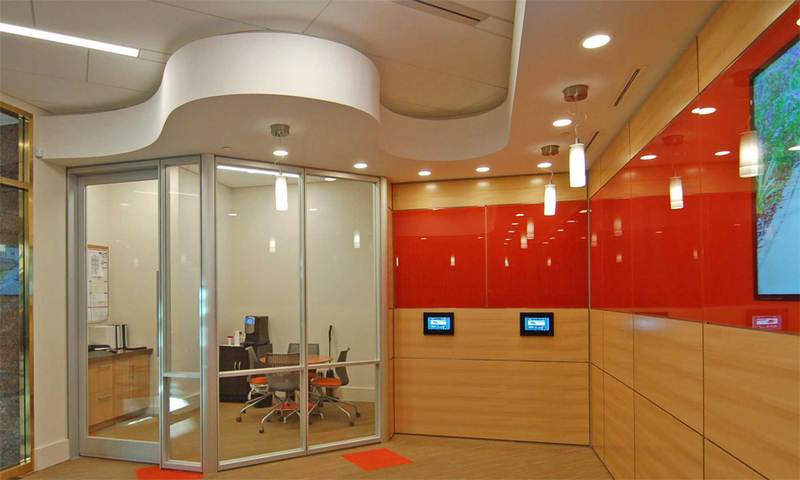 Custom millwork and a glass and wood veneer DIRTT wall system enhance the space which is finished with a linear ceiling system and carpet tiles with color accents.